The New York State Department of Environmental Conservation (DEC) today announced the adoption of regulations governing the sport of falconry. Albany, NY - July 23rd, 2013 - The New York State Department of Environmental Conservation (DEC) today announced the adoption of regulations governing the sport of falconry. The adopted regulations are in response to changes to the federal regulations governing the sport of falconry published by the U. S. Fish and Wildlife Service. 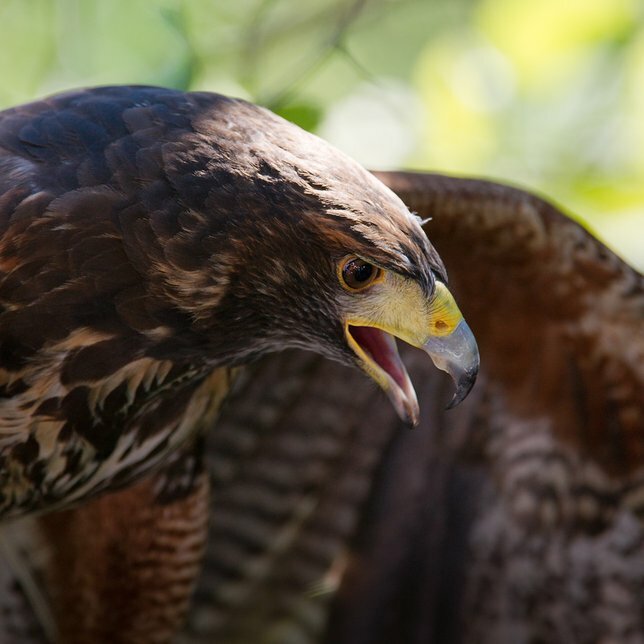 In addition, in April 2012, the falconry license term and fee were changed in the New York State Environmental Conservation Law, requiring changes to the state regulations. In accordance with the new state legislation, the license term and license fee for falconry licenses are now $40 for a five-year license. Previously, falconry licenses were $20 for a two-year license. The falconry license authorizes a New York State resident to participate in the sport of falconry, which includes hunting small game with a raptor such as a falcon, hawk or owl. The license allows a person to obtain, buy, sell, barter, possess and train raptors for falconry purposes. DEC worked with the New York State Falconry Advisory Board to review and incorporate the changes made to the federal regulations. The adopted regulations provide regulatory relief for falconers and increase the number of raptors that can be possessed by General and Master Falconers. The new regulations authorize additional activities under the authority of a falconry license including: conducting conservation education programs; conducting limited propagation; and assisting wildlife rehabilitators with the assessment and conditioning of raptors prior to release. Additional information about Falconry and New York's Falconry regulation can be found on Falcon License page and Proposed Regulations page on the DEC website. Subject: LongIsland.com - Your Name sent you Article details of "DEC Adopts New York State Falconry Regulations"